Do you obsess over the scale? 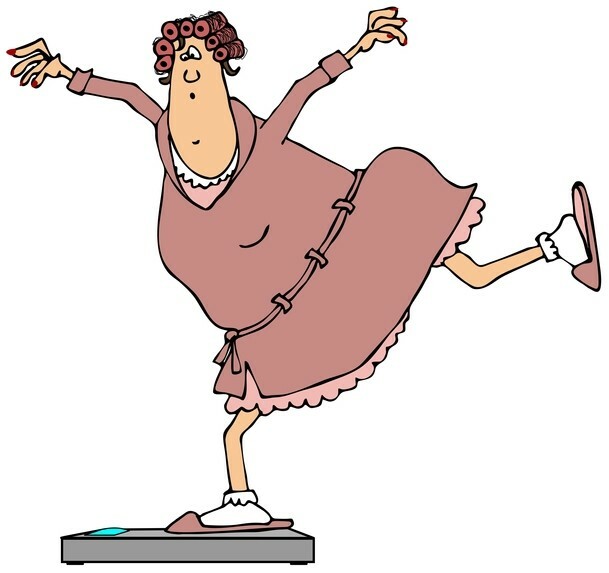 In my office, I meet people all the time who not only weigh themselves every day, but several times a day. This is so self-defeating for so many reasons, not the least of which is because you can get on a scale 10 times a day and get a different reading every time. Hydration, how much and when you last ate, sodium intake, bowel movements, hormonal shifts, sleep, whether or not you’ve exercised or worked out . . . all play a role. True weight loss is measured over a week’s time – not every day, not every 2 days, etc. The complete digestion process for an average adult takes up to 48 hours (more, for larger people). When you step on the scale it’s the result of what you’ve eaten 2-3 days back! If you “lose it” on a Saturday night, weigh in the morning and see you haven’t gained any weight, you thank your lucky stars and get back on track that day. But, lo and behold, you’re up 2 pounds on Monday. THAT is the result of what you did two days prior. I see clients 2-3 times a week (M/W/F). They weigh in on the same scale and most, given their schedules, usually come in at the same time of day or evening. (I do the same with my long-distance clients who weigh-in twice a week on the same home scale on the same mornings each week.) Still, I don’t compare their weight on a Wednesday to the Monday two days prior. The true measure of how they is by comparing their Monday weight to last Monday’s weight; Wednesday’s to last Wednesday, etc. That is true weight loss. 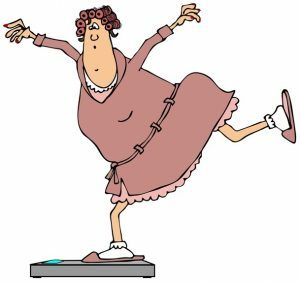 I ask clients NOT to weigh at home while working with me and not to mention it to me (i.e., “How can I be up a pound; I was down on my scale this morning.”). I’m not interested. It’s not relevant. It’s not comparable to the “honest” accurate records I’m keeping at the office on the same scale on a weekly basis. Yes, of course, at some point, weighing yourself is a good way to remind yourself where you are, and to help you maintain a healthy weight. Even then, as I do with my Maintenance clients, pick just one day of the week, two at most (and I suggest Friday or Monday, before and/or after the weekend), and that’s it. Week-to-week, same day, gives you an honest assessment of where you are. During the weight loss process, however, the best way to disappoint yourself on a regular basis is to check your weight frequently. I tell my clients to just focus on and follow the system in place, and they will get the results they want. Dieting mistake #1: Having a defeatist attitude. Dieting mistake #2: Skipping breakfast. Dieting mistake #4: Indulging excessively in alcohol. Dieting mistake #5: Thinking you are unattractive. Dieting mistake #6: Blaming others for your shortcomings. Dieting mistake #7: Not having a plan. Dieting mistake #8: Bingeing after “falling off the wagon” and then waiting for “tomorrow” to get back on track. Dieting mistake #9: Thinking that dieting sprees, and not total lifestyle change, will garner lasting weight loss results. Dieting mistake #10: Thinking you’re genetically destined to be fat. Dieting mistake #11: Giving up and resigning yourself to being fat. Dieting mistake #12: Not drinking enough water. Dieting mistake #13: Thinking that the 4 Ps (pills, powders, potions and packaged foods) actually work to achieve long term weight loss. Dieting mistake #14: Starving all day. Dieting mistake #15: Wasting time. Dieting mistake #16: Going on a diet that’s not a manner of eating you can adhere to for life.